Midwest rail network struggled to recover from last winter after a robust 2013 harvest, larger coal and oil volumes, and a long-lasting and cold winter. According to The Des Moines Register, two Midwestern senators asked U.S. Agriculture Secretary Tom Vilsack to conduct a study to determine how much money the ongoing rail service delays will cost agricultural shippers. Senator John Thune, R-S.D., and Senator Amy Klobuchar, D-Minn., wrote a letter explaining that, although smaller statewide studies have been conducted assessing the impact of the rail gridlock on agriculture, a larger review is necessary to fully assess the economic impact. The Midwest rail network has struggled to fully recover from last winter after facing several challenges. These challenges included a vigorous 2013 harvest, larger coal and oil volumes, and an especially long and cold winter. This reduced the size and speed of operating trains and forced agricultural shippers in western Iowa, the Dakotas and Minnesota to have to wait longer periods of time for train cars. 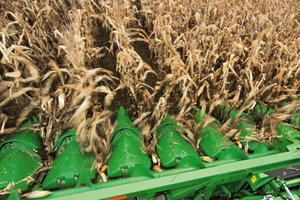 The United States is on track to harvest record high corn and soybean crops this season. Because of this, farmers, grain elevators and ethanol producers are concerned that as farmers flood the market with billions of bushels of grain and oilseed in the upcoming weeks, the rail service gridlock will further deteriorate. This would cause them to have to wait even longer for rail cars and reduce the worth of their crops. During a meeting with President Barack Obama and Vice President Joe Biden, Vilsack voiced the concern of not having enough capacity on the upper Midwest rail network to haul agriculture commodities to this region this fall. While there is a great deal that still needs to be done, he continues to pressure railroads to make sure they will be able to handle the expected very good crop.